It was a tough year, full of life tests and confusion. But when I look back on 2017, I must say I’ve accomplished a lot. I raised my GPA to where I wanted it to be. I took on extra classes in order to graduate on time. I traveled to another country for the first time in my life. I had my first internship. I decided to learn to love myself, which is something I never thought I would be capable of even trying to do. #1: If something doesn’t make you happy, leave it. It’s simple: life is too short to waste time on things that don’t make you happy. You dread working the job you hate? Quit it. A friend treats you poorly? Leave them. Something you used to love doesn’t give you the same joy as it used to? Find something new. I’ve realized that I stick with the familiar, even if it makes me feel bad. I’m afraid of the unknown, so much so that I’ll put up with negative circumstances to avoid feeling uncomfortable or lost. But it’s not worth it. This year, I have only improved my life by leaving the negative behind. Holding on to lost causes are pointless, and it stunts personal growth. #2: Some people will never change, and you don’t have to waste time trying to change them. This is something I’ve reflected on for the majority of 2017. I think of relationships between people, internal qualities and the moves and mistakes we all make in our lives. The hard truth is people won’t change unless they want to. The desire for change has to come from within. I think at some point in our lives, we all wish we could fix broken people, but we can’t. It isn’t our responsibility to change someone. Of course we can encourage it and express our concerns, but we are not responsible for anyone other than ourselves. Realizing and accepting that this is out of my control allowed me to move on with my life. It isn’t that I don’t care; it’s that I can’t allow myself to sacrifice my sanity. #3: It’s okay to be lost. There is so much pressure on early 20-somethings to have our life together. We need to have a superb GPA, 8 internships on our resumes, 12 extra curricular activities, and 100 friends. We’re supposed to graduate from college and immediately start at a great new job, move into a place of our own, buy a car, get engaged, so on and so forth. We’ve all heard it, and we all believe it at some point. But the truth is everyone moves at their own pace. Just because one person has a $100,000 paying job, 10 travel plans for the next year, and engagement ring on their finger right after college doesn’t mean you have to. Life has a funny way of making things happen right when things are supposed to happen. Setting goals and working towards accomplishing them is more important (and more effective!) than competing with other people. #4: Knowing what you don’t want is just as important as knowing what you do want. I can even argue that knowing what you don’t want is more important than knowing what you do want. This year, I’ve realized that I don’t actually know what I want. I feel like a lot of “my” standards are built off of what I’ve been told to expect. I have used this year to challenge those expectations and figure out what I don’t want in order to figure out what I need. #5: It’s going to be okay. Plot twist! It’s not true. There is always a solution, and a new day will always come. Making mistakes and experiencing bad times is a part of life, but these moments don’t mark the end of your world. I promise you – and myself – that it will always be okay. Next Next post: I Went to New York City! From cozy to full-blown glam, here are three fabulous outfits that are perfect for the holiday season! 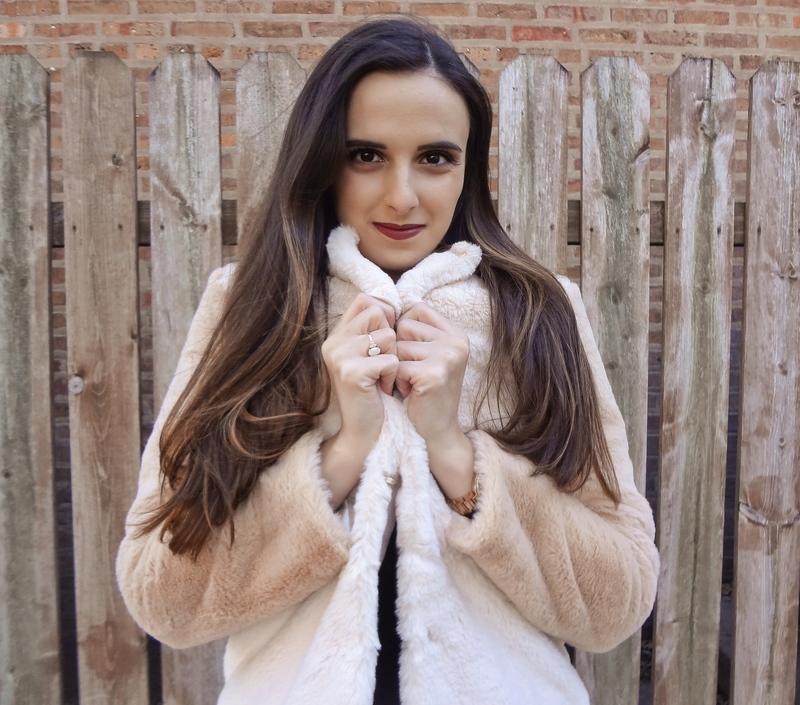 I teamed up with four fashion bloggers to bring you 5 different ways to wear leopard print and stay on-trend this fall! From the layering to the rich colors, fall is my favorite season to enhance my style and dress to the nines.